BA is pleased to invite all eligible rising ninth grade students (students who will be entering 9th grade this fall) to apply for the Emerging Leader Scholarship (ELS). Through the contributions of an anonymous donor, this four-year scholarship will provide substantial tuition assistance for all four years of the recipient’s high school career at BA. The ELS is designed to identify and support a rising ninth grade student throughout his/her upper school tenure at BA. Its unique focus is to cultivate the leadership skills of the recipients, with the intent that these students will both show academic prowess as well as participate in leadership roles at BA and in the community. All rising 9th grade students – both currently attending and those not attending BA – are encouraged to apply. Application information should be submitted by May 15th to the Admissions Office. The recipient will be announced prior to the start of the school year. The application process consists of an application, essay, online assessment by a teacher, and a personal interview for the final three candidates by the Emerging Leader Scholarship Committee. There are several requirements to secure this four-year scholarship. First, the student must maintain at least an 88 (mid-range B) average throughout upper school. Second and equally important, the recipient must attend a leadership conference prior to their junior year. The conference will be mutually agreed upon by the recipient and the scholarship committee. Third, the recipient must be active in one community organization. Finally, the recipient must be active in leadership roles at Beaufort Academy during their upper school years. 2018/2019 Application information should be submitted by May 15th, 2019 to the Admissions Office. The recipient will be announced prior to the start of the school year. To learn more about the Emerging Leader Scholarship, contact the Admissions Office at 843-524-3393. 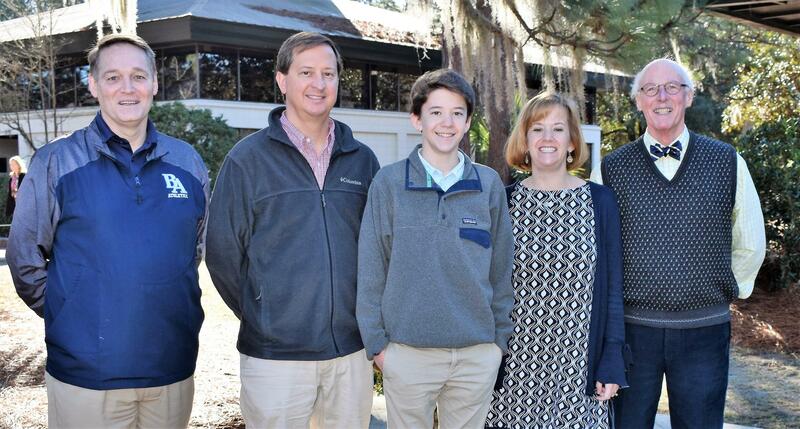 Beaufort Academy freshman, Jack Carter Worrell, son of Jack & Courtney Worrell, was named the recipient of the fourth annual Emerging Leader Scholarship.